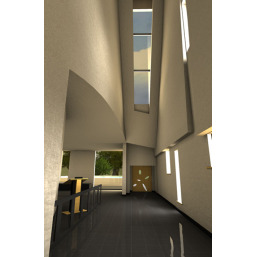 Save big by bundling the form·Z jr modeling software with V-Ray for form·Z. Add V-Ray to your form·Z projects to create stunning, realistic scenes. 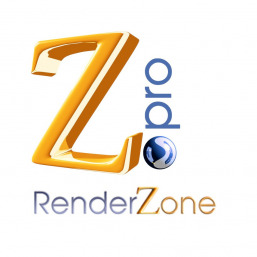 Purchase includes a Single user license of form·Z jr and V-Ray for form·Z Mac OS/Windows. 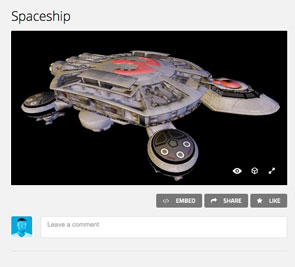 The form•Z jr, previously called bonZai3d, is an application with a fresh approach to 3D modeling aimed at delivering conceptual design and sketching ideas quickly while still making it possible to carry you to the next level of productivity. 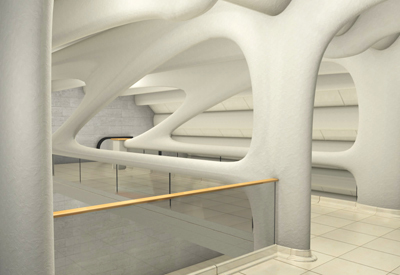 Robust geometry creates models that can be used for construction drawings, photorealistic rendering, and fabrication. Simple, smart, and fun interface reveals unexpected capabilities and tools that complement and enhance creativity. Embedded tutorial videos facilitate the learning at one’s own pace and without the need for expensive training sessions. Intuitive tools include descriptive step-by-step guides and interface hints for a productive workflow. To further explore and exchange ideas, solutions, and problem-solving alternatives, the form•Z jr forum operates 24/7, as a valuable resource for peers who deal with the daily tests of real-life projects. Introduces subdivision modeling as a new personality to form•Z's diverse modeling capabilities. Subdivision modeling is a method for creating unique organic forms. 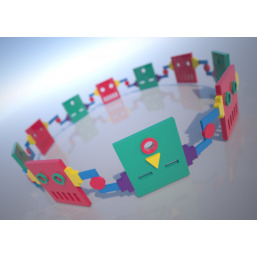 These organic models start from a simple base cage that can be dynamically manipulated and reformed with a new suite of tools that provide operations like grow. Subdivision models are parametric allowing for continued manipulation as well as dynamic control of the surface resolution. 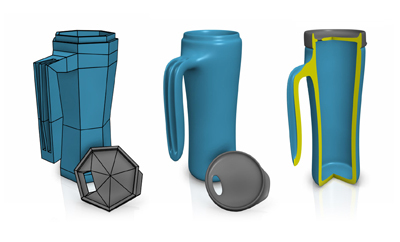 The subdivision tools are also useful for quickly smoothing or softening a faceted model. Subdivision objects can be converted to NURBS for additional manipulation and evaluation using form•Z’s extensive NURBS tools. Subdivision objects work great with 3D printing as they produce regular meshes that tend to give excellent results with popular 3D printers. Useful for tensile structures, organic surfaces ranging from exotic roofs to character meshes, these new tools make form•Z more versatile than ever before! The form•Z interactive display modes have been completely rewritten to take advantage of modern OpenGL capabilities. This is most noticeable in Shaded Full display mode with new real-time ambient occlusion, bump mapping, soft shadows, and multisampling features. These improvements aid in real-time visualization and design evaluation as they yield better depth perception and spatial definition. The .fmz file format has been optimized to make files more compact. A new File Optimization option has been added to the Project Settings allowing for even smaller project files. Files saved with Auto Save feature use the smallest size to improve performance. 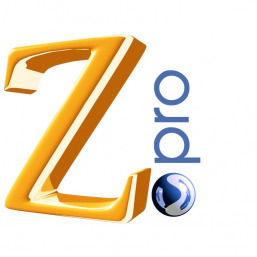 V-Ray, the top of the line rendering software can be added to form Z. Create stunning renders on NVIDIA CUDA GPUs, CPUs or a combination of both. V-Ray includes a material library containing over 550 unique, realistic materials. 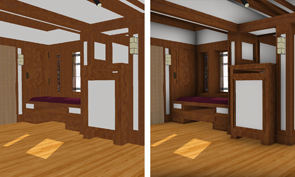 V-Ray for form Z is compatible with form Z 8.5 and 8.6. 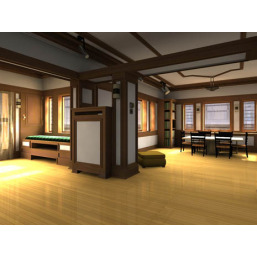 Powerful hybrid rendering – You can render on NVIDIA CUDA GPUs, CPUs — or a combination of both. Material library – over 550 realistic physical based materials, such as glass, coated plastics or metals, wood,stone and etc. V-Ray Grass and fur - Realistic grass, fabrics and carpet now possible with V-Ray Fur. Denoiser – With V-Ray's new denoising technology, you can automatically eliminate noise and cut render times by up to 50%! Aerial perspective – Add realistic atmosphere and depth to your renders with V-Ray's new Aerial perspective controls. Virtual Reality – Verify designs at 1:1 scale in popular VR headsets like Google Cardboard and Samsung Gear VR. Cutaways with Clipper – Render sections and cutaways with ease using the V-Ray Clipper. Powerful light calculations – the V-Ray Adaptive Lights algorithm will speed renders up to seven times faster on some scenes. V-Ray Frame Buffer – Fine-tune your render’s color, exposure, and more directly in V-Ray’s frame buffer. Note that complex models or large texture maps may require additional memory. Note that the latest updates are recommended. Note that complex models or large texture maps may require additional hard disk space. Note that the latest service packs are recommended. 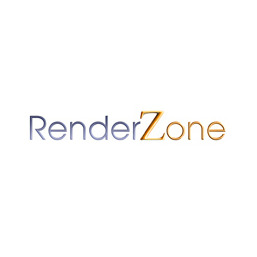 Required to load V-Ray for form•Z plugin and perform renderings. Licenses can be borrowed (checked out) for off line use. An alternate dongle licese is avaiable..
A descreet video card is required for some features (i.e. GPU and Hybrid rendering). The card should have at least 2 GB of memory to support these features.